New construction and under warranty! Don't miss this opportunity to own a BRAND NEW home in W Lehigh, with convenient access to Fort Myers via Colonial, Daniels or SR 82. 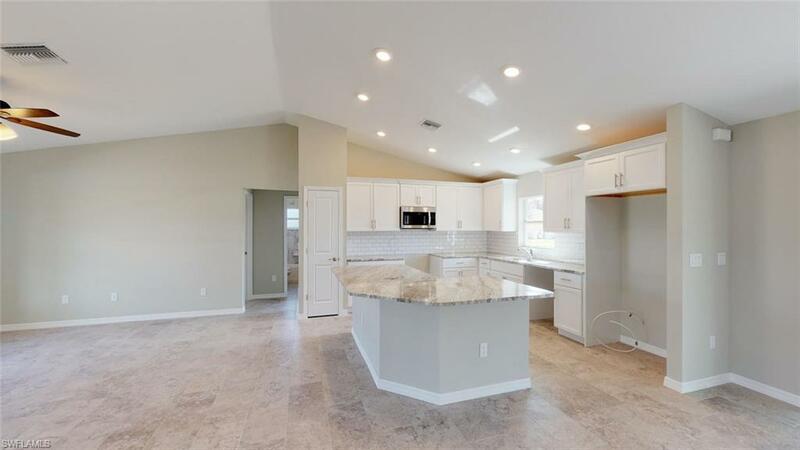 This home features tile throughout living, kitchen, den and wet areas. Carpet in all three bedrooms. Beautiful white Starmark (real wood! soft close!) cabinets in the kitchen and bathrooms. Granite countertops as well. Enjoy our great Florida weather on the extra large screened in back porch. Home comes with stainless steel appliances, closet shelving, and bathroom mirrors. It even has subway tile kitchen backsplash! This is not your typical builder-grade product!